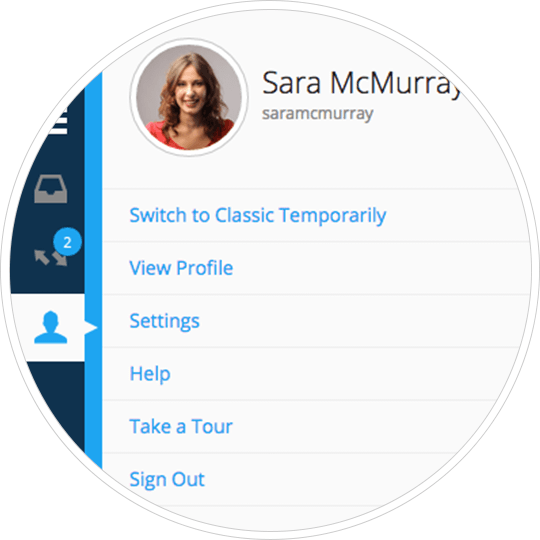 Create a Connect account or sign in to Garmin Connect. Go to the Account Information in Settings to link your vivoki. Open the Health & Fitness dashboard to track your progress. 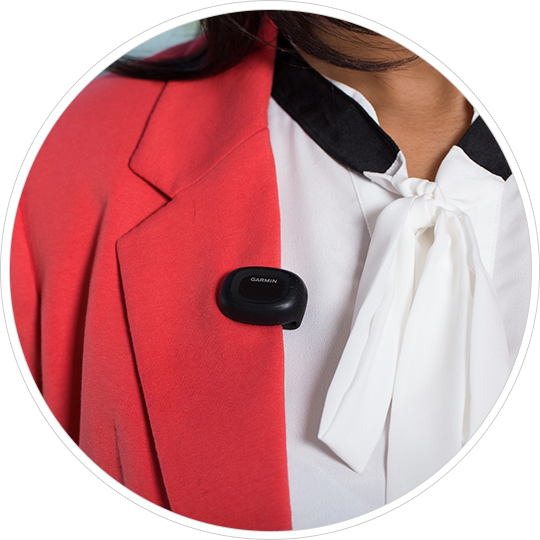 Your device will start tracking your steps and other data once activation is complete. Download the Garmin Connect Mobile app on your smartphone to transfer, analyze and share your activity data. Don’t have a compatible phone? You can use Garmin Connect on your computer, but you will need to transfer your data via a vívohub wireless access client in your workplace. 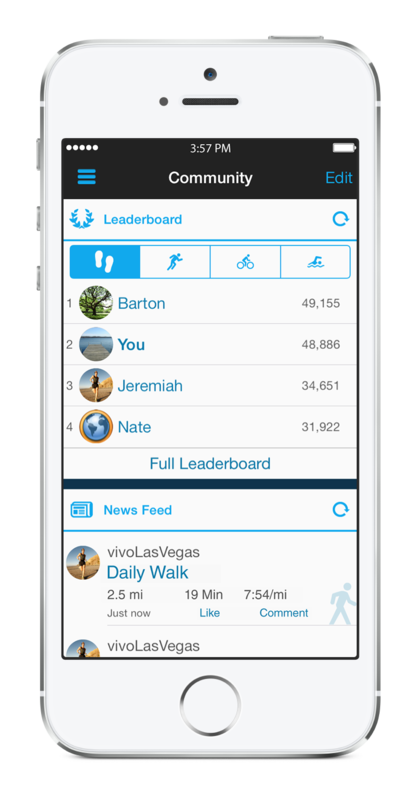 Once you activate vívokí, your step goal is set to 5,000 steps per day. You can turn on the auto goal feature or set a personalized goal in Garmin Connect. Your vívokí keeps track of your daily steps, distance traveled, calories burned and intensity of exercise. Check your progress throughout the day by tapping vívokí 2-3 times. A flashing LED light indicates you've met 10% of your daily goal, and each solid LED indicates 20%. When all five are flashing, you've exceeded your goal. Pair the device with the Garmin Connect Mobile app or pass within range of your workplace vívohub wireless access client to transfer your data. Wear vívokí on your waistband, belt, torso or in your pocket. Have questions? Contact your wellness coordinator or the person who gave you your device for more information.